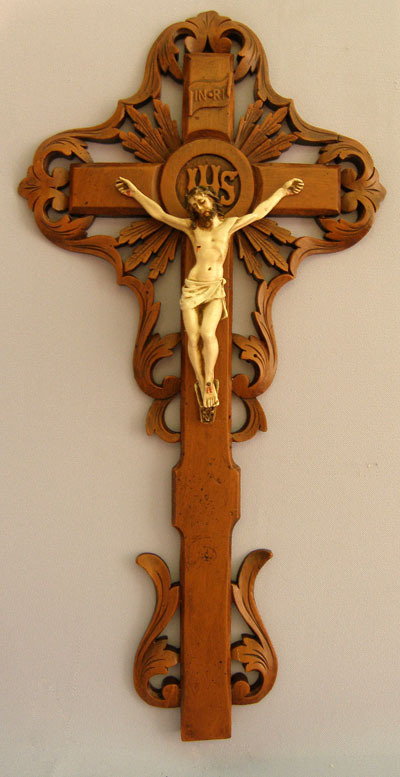 Black Enamel St. Benedict Wall Crucifix: Description: Multi-colored Wall Crucifix. Gift Boxed. 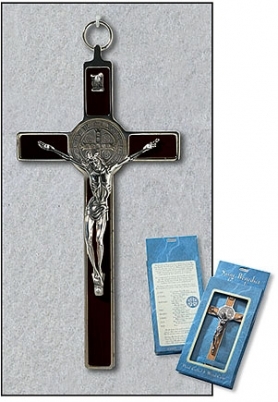 -- Gold Plate/Enamel -- 8" High - Beautifully detailed with red and blue enamel, full color enamel inlay medalion of St. Benedict.